For very many years the Japanese believed that there were many monsters. The legends have been handed down from ancient times according to the Japanese old animism i.e. * there exist many gods around us and they control our daily life and the nature*. In this issue we introduce “Oni”, one of three major Japanese monsters. ≫For further information, please see ”True or Not? : 3 Old Japanese Monsters”. The general image of “Oni” is that they have two horns on the head, a wide stretched mouth, curly hair, fangs on the mouth, sharp and long nails, wearing pants of tiger-skin and holding a big rugged iron club. They are in red, blue and black and they are called “Aka-oni” (red ogre), “Ao-oni” (blue ogre) and “Kuro-oni” (black ogre). It is believed that they not only do harms to humans but also eat them. 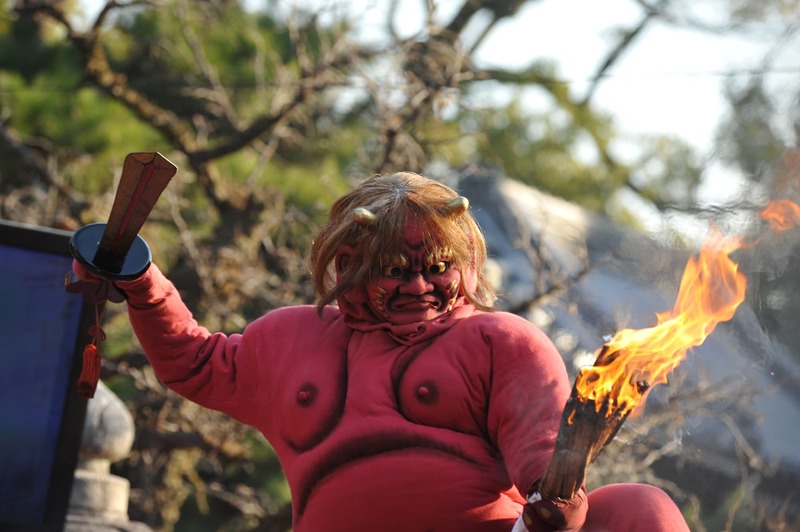 In each region of Japan there are mountains where there are legends of “Oni”. Though “Oni” means bad or horrible, in some regions it represents the strength or deities. 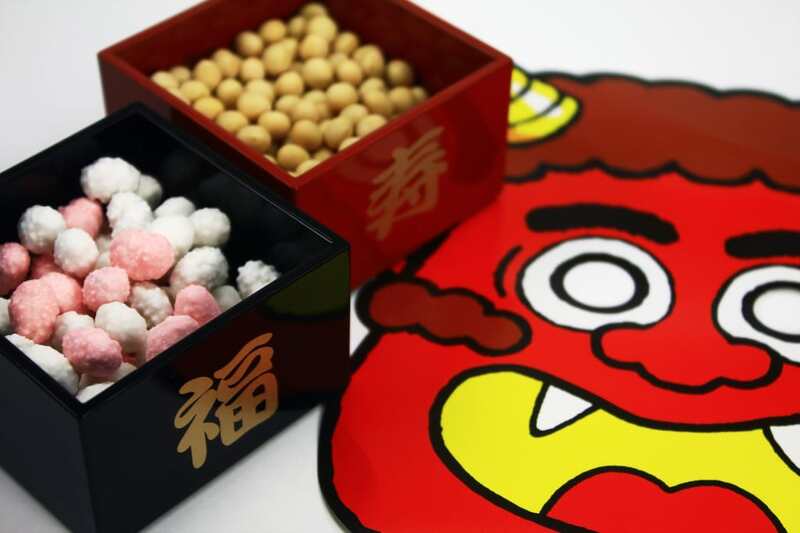 There is an annual event in February called “Mame-maki” (scattering beans) to drive out evil spirits where “Oni” is the bad things to bring misfortunes. On the contrary elsewhere people believe that “Oni” chases away evil spirits and brings fortune. In Japan there is an annual event on 3rd February called “Setsubun” which means dividing the seasons. It is said that 3rd February is the beginning of the spring. On this day people scatter beans to drive out evil spirits wishing happiness and good health to their family. They throw beans to “Oni” (someone wearing Oni mask pretending to be “Oni”) shouting “Get out ‘Oni’, come in fortune”. Not only scattering beans but also it is believed if you eat the same number of beans as your age, you will be in good health. People do “Mame-maki” at home. Some temples and shrines conduct it as well. In Tokyo “Ikegami Honmon-ji” Temple and “Zojo-ji” Temple in Minato-ku hold “Mame-maki” from ancient times. More than one thousand people gather for the event. “Setsubun-e” (ritual for dividing the seasons) at “Nishi Arai Daishi” Temple is famous, too. The temple is known since long to be a sacred place to practice warding off evil spirits. The Japanese monsters were originated in the course of their daily life. “Akaname”, for example, is the harmless monster which licks filth and appears from a dirty bath. Another example is “Azuki Arai” in Tohoku Region who is said to have appeared during a marriage of poor farmers. This monster gives you auspicious red rice. There are good monsters and bad monsters in Japan. Accordingly there are a good “Oni” and bad “Oni”. You may encounter your favorite monster one day. Let’s Join Horror Tours in “Asakusa”! 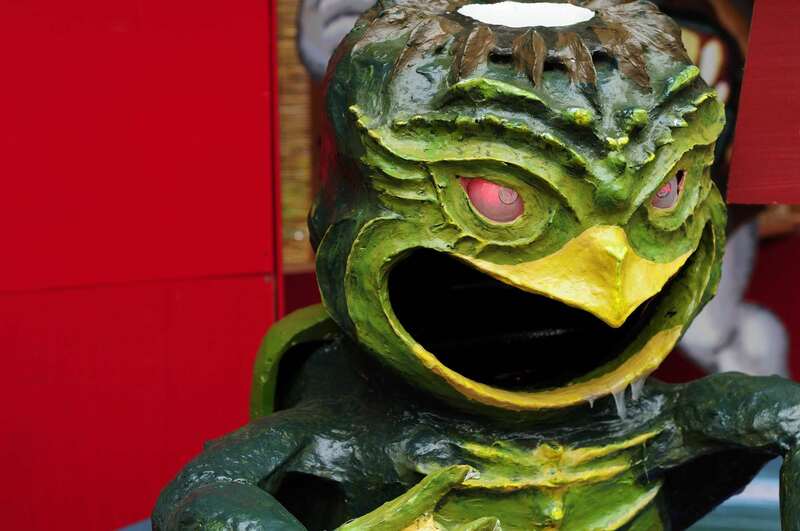 Let’s join a horror tour in “Asakusa”, tourists’ popular spot. The amusement park “Hana Yashiki” is the oldest in Japan and it has a haunted house. You will have thrilling experience there by listening to horror stories which really happened. 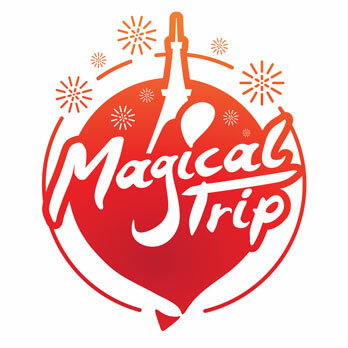 With a guide, it’s a two-in-one deal that you can enjoy sightseeing and horror stories.